Lt. Col. ????? 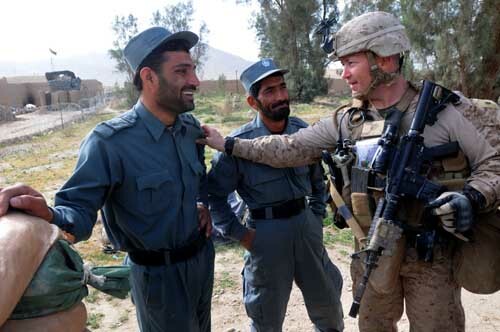 greets Lt. Abdul Kareem Precinct Chief for the Kajaki Sofla District Afghanistan Uniform Police.